Ellen Moore Cakery is a mobile cake design service that is known for creating made-from-scratch rich, moist delicious wedding confections. All custom cakes feature real butter cream icing and high quality fondant. 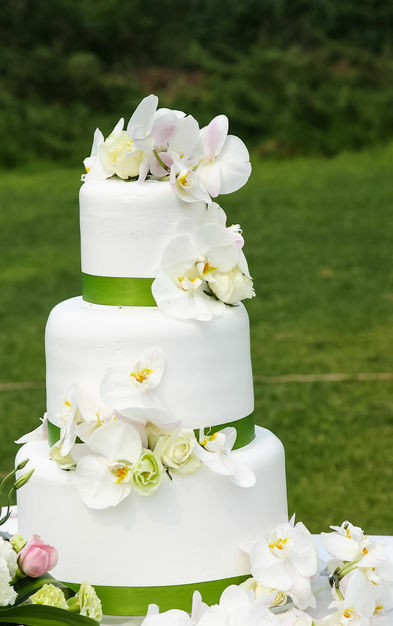 Wedding cakes can be adorned with exquisite hand-made sugar flowers, edible ribbons and bows, and/or a variety of custom made accents. 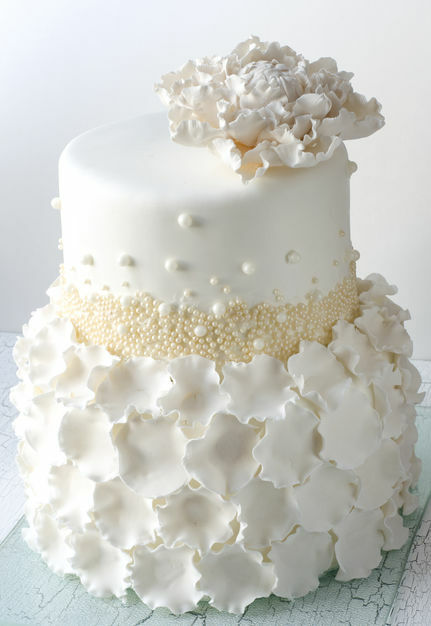 What sets Ellen Moore Cakery apart from competitors is the attention to detail in the way your cake looks and tastes. 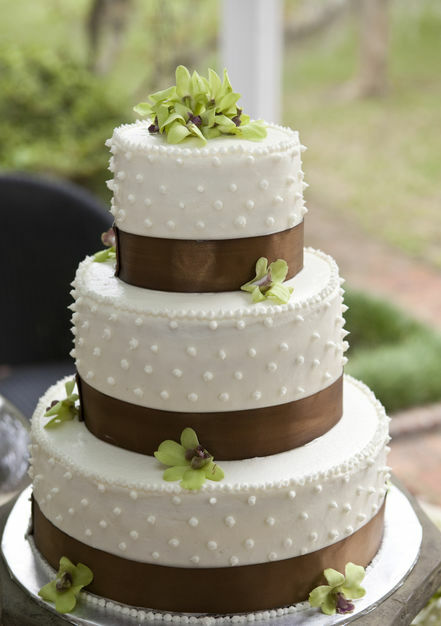 Never settle for a wedding cake because it looks great. Go the extra mile...ensure that it is fresh, moist, and delicious. Your wedding guests will love you for that. Made with Real Butter, Fresh, Moist & Delicious as cakes from Ellen Moore Cakery. Cake Tastings are encouraged at Ellen Moore Cakery. The cakes that are set up for tastings are baked-to-order fresh. Cakes are never frozen and served, nor baked on Mondays and served on Saturdays. We take pride in your cake tasting as well as your actual wedding cake. Therefore, please call to schedule your tasting. Ellen was a joy to work with from start to finish! She was always available and responded quickly when we had any questions. A year later, we pulled our anniversary cake out of the freezer, it was like eating it all over again! AWESOME!!!!!! Ellen is a class act! Her cakes are superior. It was such a pleasure working with her. Our cake was exactly what we envisioned it to be and more. I was the planner for a wedding reception for a surprise destination wedding. Ellen made it easy to fine tune details without anyone knowing. Decorating the cake to accent the decor. Simple yet elegant. The cake was not only delicious in taste but beautiful in presentation. You could easily tell she puts her heart into every detail and EVERY ingredient. We also have in-house graphic design services. Ellen Moore is a graphic designer as well as a cake designer. There are times when wedding couples require her services. 2 - 3 weeks in advance, however, there are times that last minute requests can be accommodated. Cake styles will vary from customer to customer. 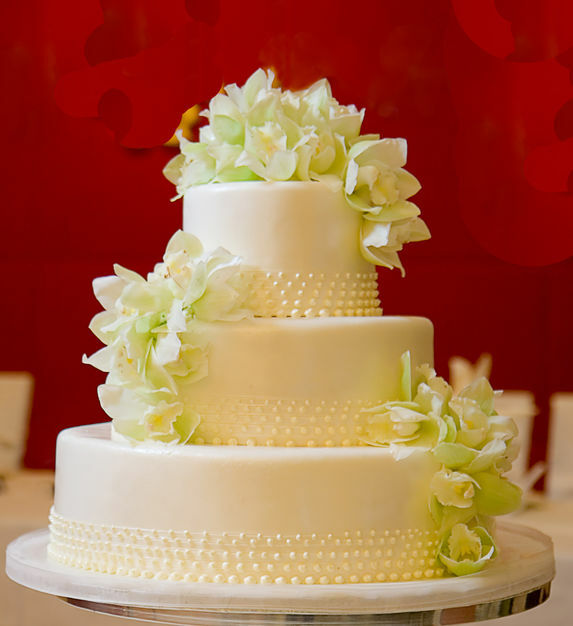 We are versatile in being able to accommodate various cake styles and art work. Yes, we offer private tastings. All cake tastings are free. Yes, we can provide cake toppers and other decorations.